Lori has 30 years’ experience in nonprofit management and is responsible for fiscal and program management. Lori is a Certified Intergenerational Training Specialist. A native Kansan, Lori is actively involved in the community. She is a member of the Chamber Champions Committee and the Manhattan Catbackers Association. 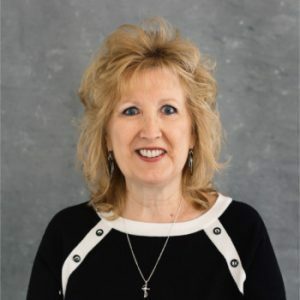 Lori serves on the Board of Directors for the Flint Hills Veterans Coalition, Kansas Association of Senior Corps Directors (President), and the National Association of RSVP Directors(Secretary). She was a member of the 2011 Leadership Manhattan Class and the 2011 American Express Leadership Academy. Lori has received recognition for her work on behalf of the Flint Hills Veterans Coalition and was presented the Lady Victory Coin by Brig. Gen. Sean Swindell, the Deputy commanding general (maneuver), 1st Inf. Div. and Fort Riley; and was given the Medallion of Excellence Award by the FHVC. Lori has three sons and five grandchildren. In her spare time, she enjoys K-State sports, traveling, reading, and spending time with her family. Lori’s favorite holiday is Christmas and all the hustle and bustle of shopping and decorating! 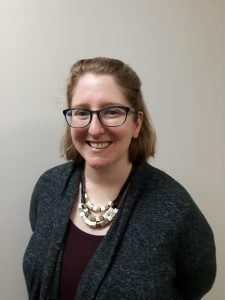 Amanda Yenzer is the Volunteer Outreach Coordinator for FHVC and is a native to the Manhattan area. She has worked with non-profit organizations for 6 years prior to joining FHVC. 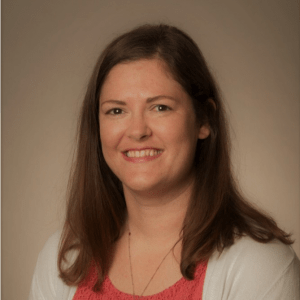 Amanda has a Bachelor’s Degree in Human Services through Washburn University and just completed her Master’s Degree in Human Services specializing in Social and Community Services from Capella University. She is now working on her doctorate in Human Services through Capella. When she isn’t working (or studying), Amanda is often found with a book in hand or spending time with her family and friends. She’s a proud parent of a teenager and a 2-year-old bichon and has found that she truly loves being an aunt! Stephanie is a student at K-State studying political science, anthropology, and nonprofit leadership studies. She plans on attending grad school and earning a Masters in Public Administration. She is also currently a member of Mortar Board and is an ambassador for the College of Arts and Sciences. Stephanie grew up in Kansas and spent most of her life in El Dorado, but she has lived in Manhattan for the last two years. She has a Jack Russel Terrier named Lucy and she enjoys spending time with her siblings. 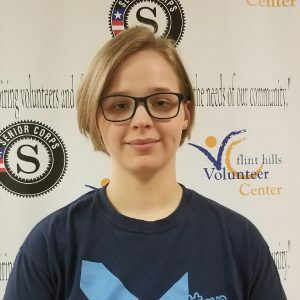 Stephanie has a strong passion for public service and is excited to work with the Flint Hills Volunteer Center and YVC. Karen Paulus is the Senior Corps RSVP Program Coordinator with FHVC in Junction City and a Virginia native. She has worked with several nonprofits prior to the Flint Hills Volunteer Center and is an AmeriCorps VISTA alumna. Karen has her Bachelor’s Degree in Communication Studies from Christopher Newport University and her Master’s of Science in Education from Old Dominion University. When not working, Karen is often chasing her toddler daughter around the Flint Hills or spending a quiet moment with friends. She also enjoys reading, traveling, warm beverages, and the company of her husband and their cat, Larry.